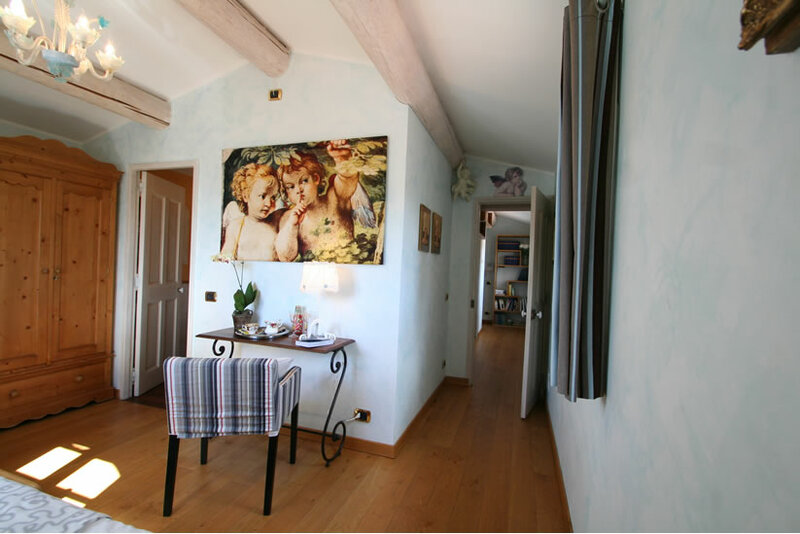 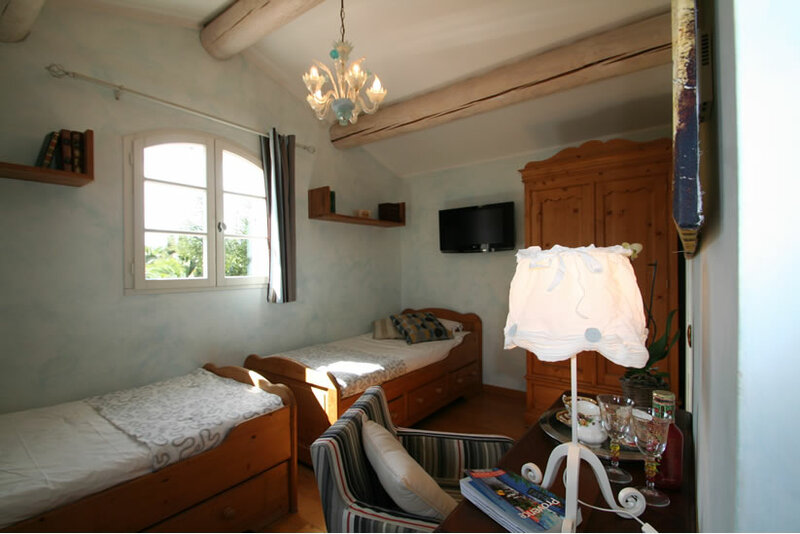 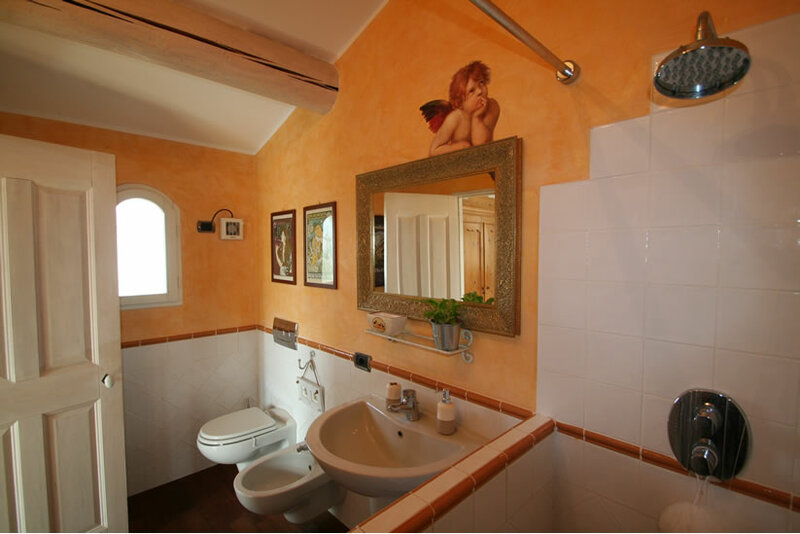 The Terra Cotta Room is situated in Villa Bella's first floor, is decorated in terracotta (clay) harmony theme with charming exposed wooden beams ceiling, 2 twin beds (90 cm. 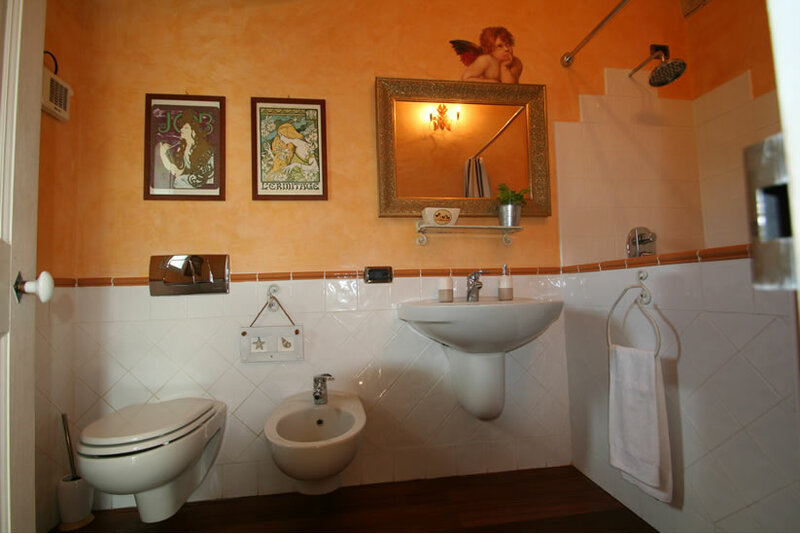 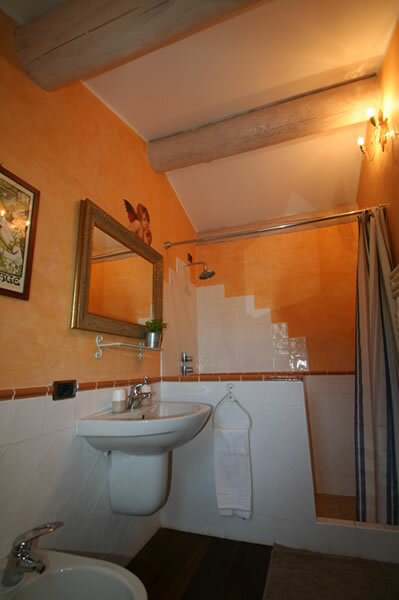 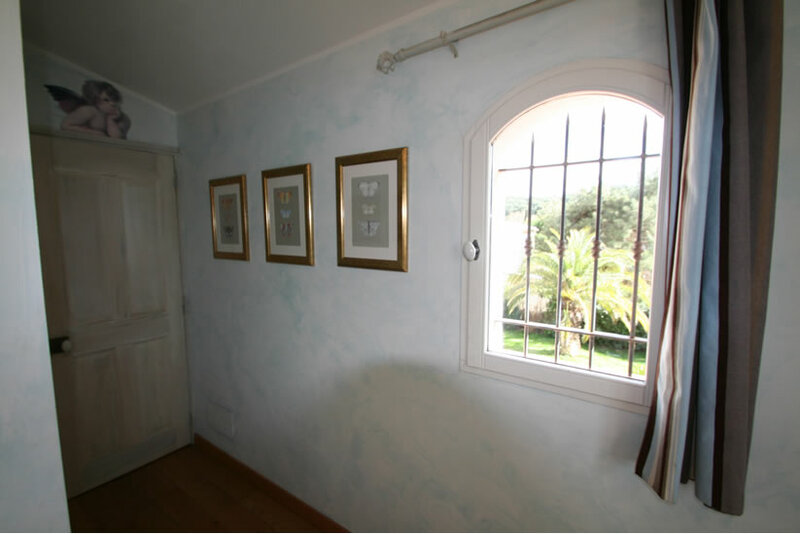 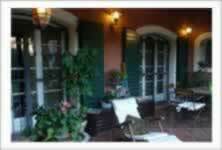 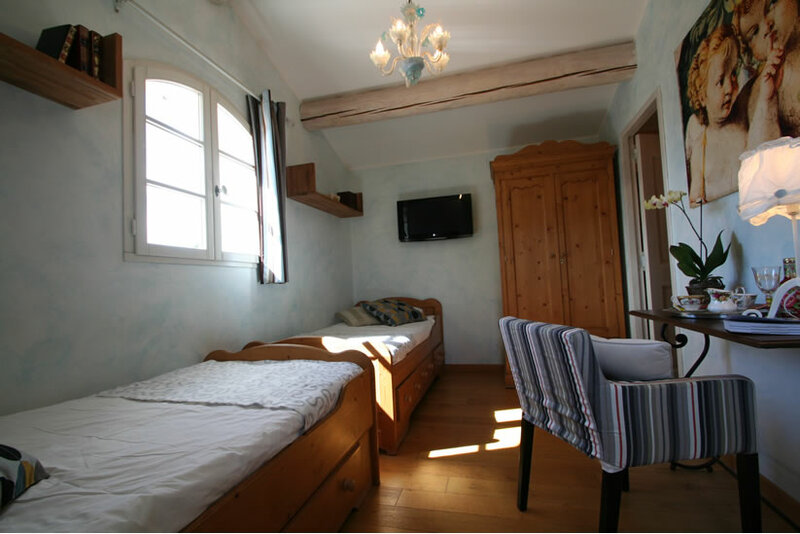 ), en-suite roomy bathroom with italian style shower + wc + bidet. 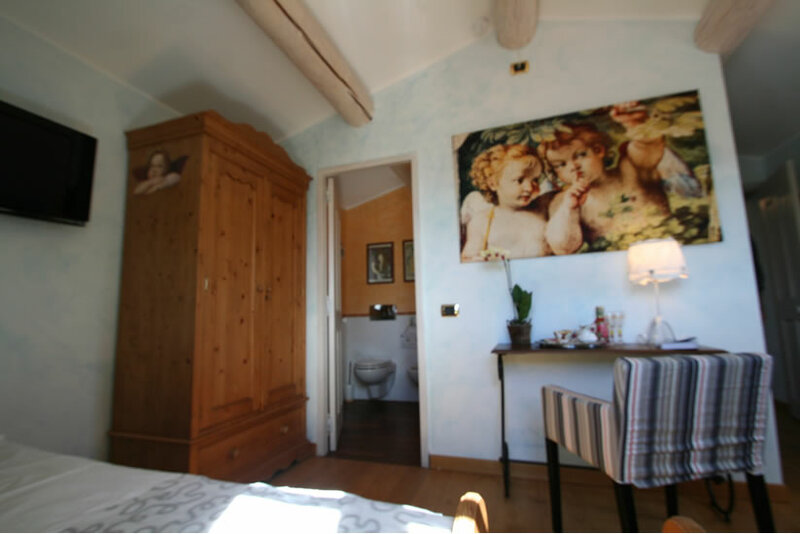 We taking great care to our room decoration and comfort, the bed is provided with a high quality mattress and finest linen. 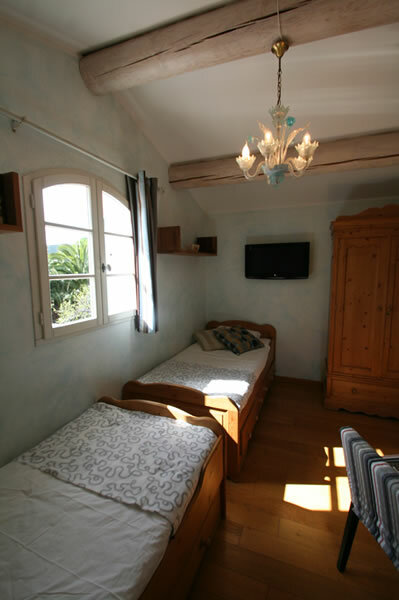 Sight on the garden and swimming pool, is air-conditioned and equipped with minibar fridge, satellite TV and broadband WiFi.